The Assistant Summer Camp Director (ASCD) reports to the Summer Camp Director and works with the Summer Camp Director to incorporate the CA.R.E. (Christ-Awareness/Recreation/Education) philosophy into all aspects of life at Camp Notre Dame. 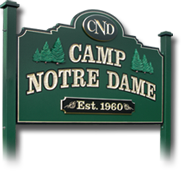 The ASCD works with the Summer Camp Director to supervise all senior and support staff, with emphasis on the various program areas of Camp Notre Dame. In the absence of the Summer Camp Director, the ASCD assumes full responsibility for the normal operations of the summer camp program. The Food Service Coordinator reports to the Summer Camp Director and is responsible for the general operation of the kitchen and related support services. The Food Service Coordinator has immediate responsibility for ordering food and kitchen supplies, preparation of meals, meal service, and cleanliness of the kitchen, dish room, storage areas, and the dining area. The Food Service Coordinator directly supervises those staff assigned to food service and related responsibilities. We hire 24 resident summer camp counselors who work 8 weeks begining with orientation in mid-June and continuing until early August. Senior resident staff must be at least 18 years old and possess a high school diploma (or equivalent). We are looking for high energy, outdoors-loving men and women who love to work with children in a Christian setting. Resident counselors live at camp from Sundays at noon until the end of the closing campfire on Friday evening. Staff are given time off at different points in the week. Resident staff are assigned to be cabin counselors or specialty staff. Cabin counselors are responsible for 10-12 children and live in a cabin with their campers. They are responsible for guiding the campers throughout the week and participating with them in all activities, including canoeing, fishing, pool, crafts, hiking, campouts, and many more. Specialty staff hosts the program areas that campers attend each day. The specialty counselor is responsible for planning an maintaining their program area. They are responsible for incorporating CA.R.E (Christ-Awareness/Recreation/Education) into all aspects of their program. 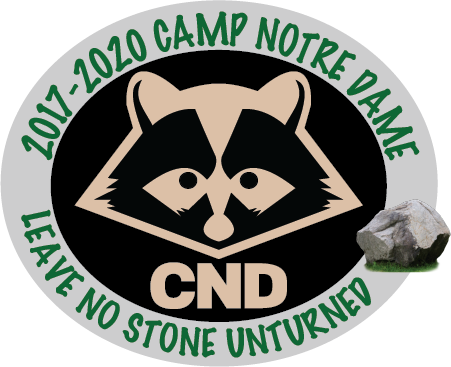 If you love children and the outdoors, there isn't a more rewarding experience than being a camp counselor at Camp Notre Dame. We hire three day camp staff aged 17 or older to counsel our 4-8 yr. old day camp program. Kid's Kamp Day Camping counselors work Monday through Friday 8:00am to 5:30pm and are not required to live at camp during the summer. Day camp counselors work closely with our resident staff and our under the supervision of our Kid's Kamp Director.